Restore your lawn from the ugly effects of snow mold—and boost its resistance to further attacks. After a long winter, the return of songbirds and colorful splashes of early blooming bulbs are welcome signs of spring, but other signs are not as welcome. Snow mold, so called because it thrives under a layer of snow and isn’t noticed until spring, is a lawn fungus that results in patches of dead grass in an otherwise healthy lawn. 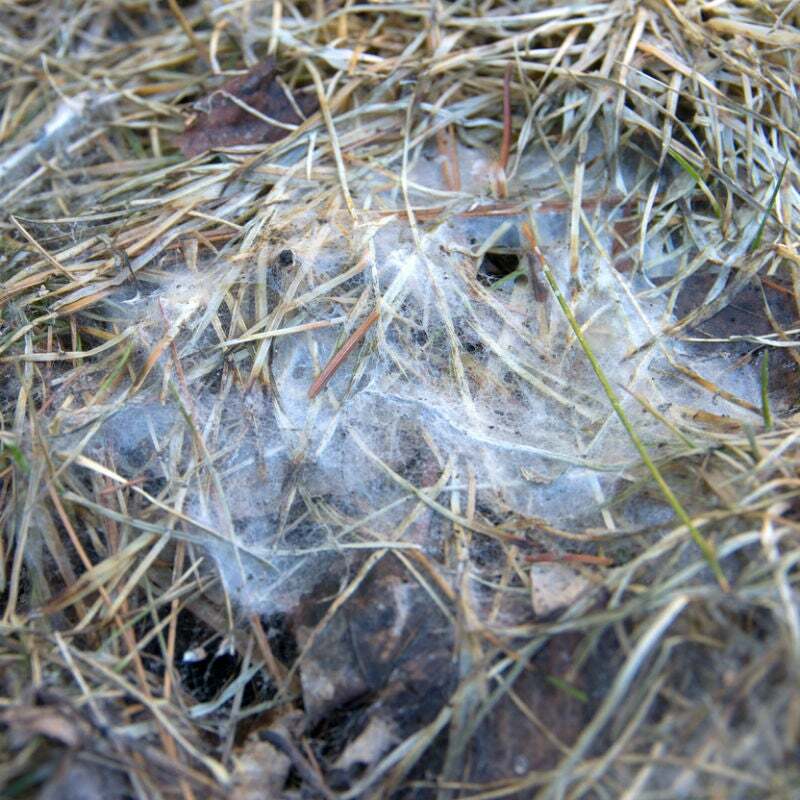 Not only unsightly, snow mold fungi can trigger allergies and asthma attacks in people. If your grass was lush and green last fall, but dead spots are visible when warmer temps arrive, your lawn is a victim of snow mold. Ahead, you’ll learn what causes snow mold, how to treat it, and how to reduce the risk of recurrence so you can bring your lawn back to life. Pink snow mold (Microdochium nivale) and gray snow mold (Typhula incarnata) are caused by freeze-tolerant fungi that can grow on all types of lawn grasses in regions subject to cold, wet, and snowy winters. These two types of fungi that trigger snow mold are present in virtually all soil, but the damage they cause is slightly different. Gray snow mold, identified by dead patches with a light gray or whitish “bleached” appearance, is often found on the portion of the lawn beneath large snow drifts. The drifts melt more slowly than the surrounding snow, so the grass beneath them remains soggy and wet, promoting mold growth. 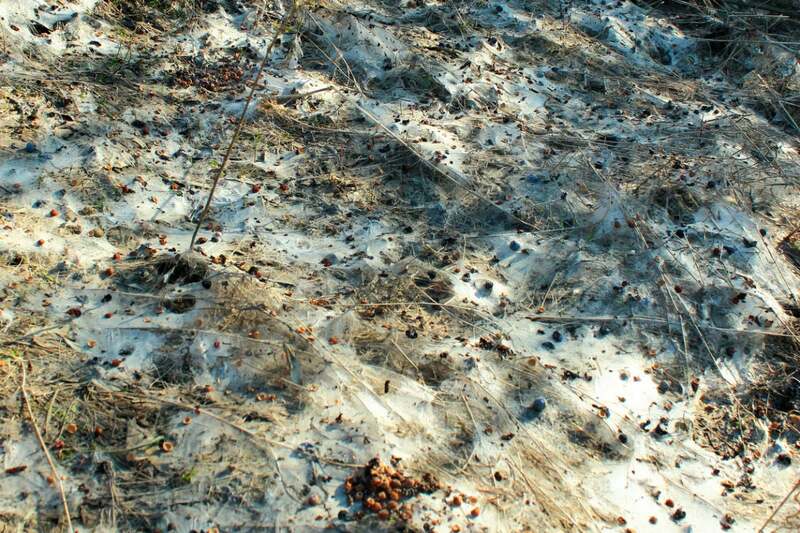 Gray snow mold patches are irregularly shaped and can be a couple of inches in diameter or a few feet across. While gray snow mold can kill the roots of the grass if the soil remains wet for months, in most cases, it kills only the surface blades, and grass will often regrow from the roots when the weather warms. Pink snow mold kills not just blades of grass but also its roots, resulting in circular dead patches with pinkish or rust-colored borders. Pink snow mold can begin to grow any time the grass is cold and wet (around 40 degrees Fahrenheit, or lower), either during a long wet spring or an especially wet fall. When pink snow mold starts to grow in the fall, it can thrive all winter under a layer of snow, resulting in widespread damage to the grass. Patches caused by pink snow mold are typically less than 12 inches in diameter, but numerous patches may appear across the lawn. The grass will not regrow in patches caused by pink snow mold. When an early snow occurs, it melts quickly because the before the ground is still relatively warm. This traps moisture at the soil’s surface, keeping grass soggy and cold and creating the perfect environment for snow mold to start growing. Dry fallen leaves on the ground create a soggy blanket of organic matter as they begin to decompose. This allows snow mold fungi to get a foothold. Like fallen leaves, grass left long in fall provides a blanket of organic matter on the surface of the soil, keeping it soggy and creating a breeding ground where fungi can thrive. Low areas in the lawn that hold water are prime locations for snow mold. Constant wetness is one of the ingredients snow mold needs to develop. 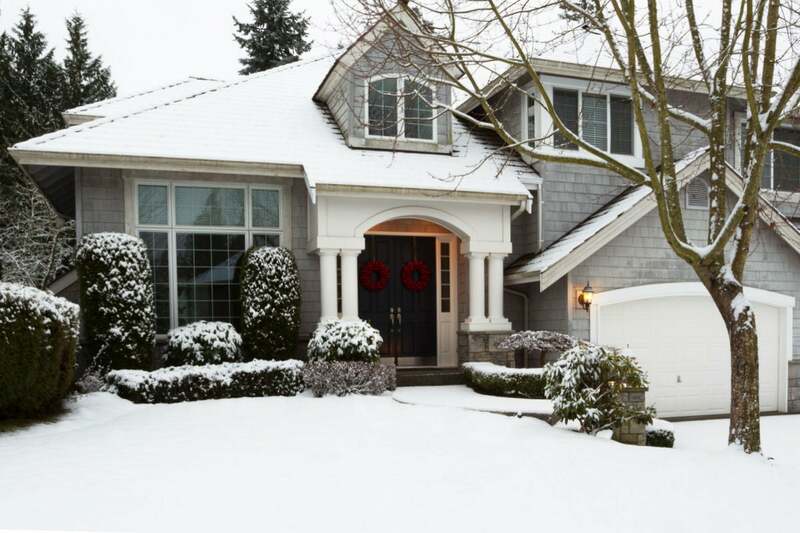 Snow drifts or large piles created by shoveling your driveway and sidewalks increase the risk of snow mold. In spring, these drifts and piles melt more slowly, saturating the soil beneath—the perfect environment for snow mold. Fertilizing the lawn in late fall spurs grass growth, but if applied in the six weeks before a heavy snow or freeze, grass may still be green when it should be dormant. When green grass freezes or is blanketed with snow, the blades become soft and mushy, increasing the risk of mold development. Established lawns with heavy thatch (a thick layer of dead grass that settles at ground level) are prone to snow mold. Thatch keeps the soil from drying out and also supplies an abundance of organic matter where snow mold can develop. Snow mold fungi stop growing once the temperatures are consistently above 55 degrees Fahrenheit and the soil dries out. At that point, rake away dead grass from the patches and reseed the spots with new grass seed. Applying a lawn fungicide at this time isn’t recommended—the damage is already done—and no new damage will occur until next winter or spring. The key to keeping your lawn lush and mold-free lies more in prevention than in fixing the damage after the fact. The best way to keep your lawn lush and healthy is to prevent snow mold from growing in the first place. The following steps will keep the fungi at bay. 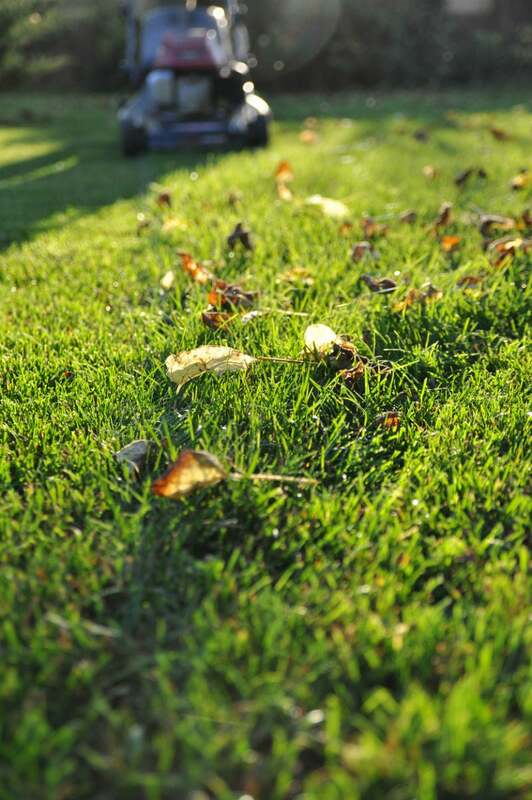 Avoid fertilizing within six weeks of the first expected snowfall in your area to allow your lawn to go dormant. Dormant grass blades are dry and dehydrated—far less hospitable to snow mold. Mow the lawn to a height of 1½ inches in the fall when grass turns yellow and stops growing, signs that it is going dormant. Rake up dry leaves before they can decompose on the lawn. Dethatch lawns with a thatch rake, such as Ames 15-inch Adjustable Thatch Rake (available from Amazon). The best way to control thatch is to rake it away two or three times a year, during your lawn’s active growing period in summer and in fall. Fill low spots in your yard with topsoil to encourage water to drain off rather than sit in those areas. Apply a preventative turf fungicide, such as Scotts DiseaseEx Lawn Fungicide (available from Amazon) in late fall, just before the first heavy snow is set to arrive. This acts as a barrier to freeze-tolerant snow mold.